Here's another one of those "I never thought they'd release that on CD" reissues. San Francisco's late 60s legacy left behind a volume of obscure bands, many with some really great ideas that were years before their time. Fifty Foot Hose is one of those, a six piece of two guitars, bass, drums, female voice, and electronics... well, electronics in '68 didn't mean what it does today – we're talking theremans, audio oscillators, squeaky boxes, sirens, microphones, and other odds and ends, played by Cork Marcheschi. Second guitarist and bandleader David Blossom had his axe and piano wired with all kinds of electronic gimmicks as well. Their basic style was, for the most part, very typical of the times. Without Marcheschi and Blossom and the experimentation they brought to the band, they would have sounded like any of a number of forgettable psychedelic bands (though singer Nancy Blossom gave them more character and urgency than most). The songs range from an almost pre-punk sound on "Red the Sign Post," to the more angular and proto-progressive "If Not This Time." There are plenty of stinkers here too, like the throwaway "Rose" and an a horrid loungy sounding rendition of "God Bless the Child." But the two tracks that shine the brightest are the ten minute psychedelic "Fantasy," and the avant-garde title track, an experimental sonic collage with distorted spoken voices and little, if any rhythmic structure. 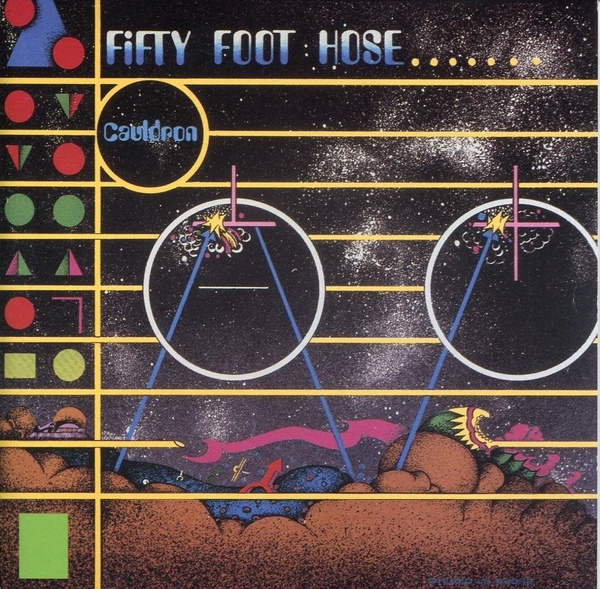 Fifty Foot Hose is one that everyone should hear, though I must admit, it'll probably be little more than an historical curiosity for most.